DOGALIZE - THE NETWORK CONNECTING YOUR DOG TO THE WORLD. Dogs and humans form a special bond - and that’s why we created Dogalize, the social network, designed to keep your dog happy, healthy and hungry to discover so much more! 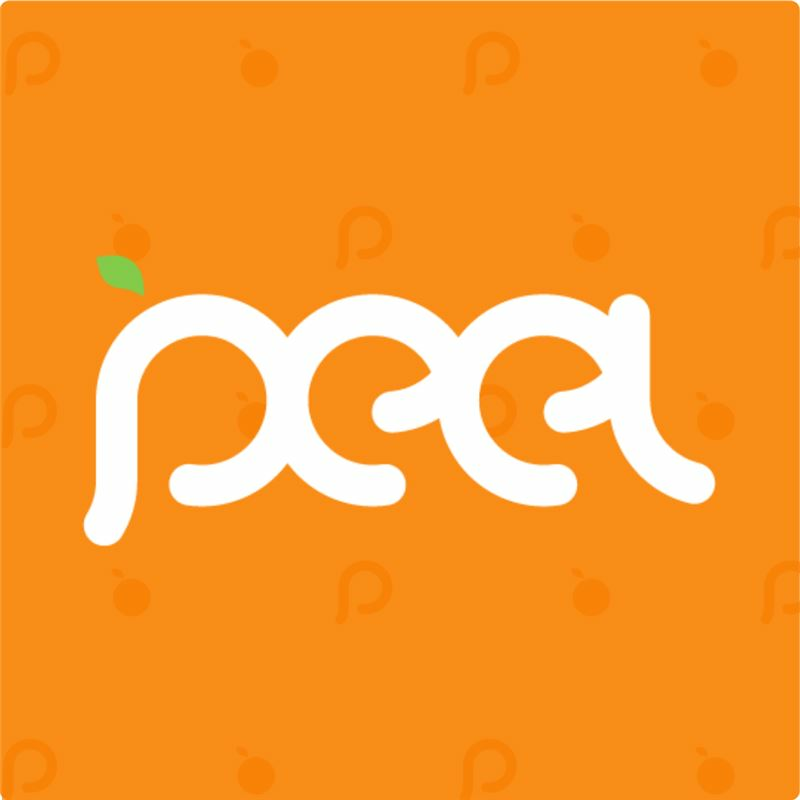 Register within seconds, sign in and add your dogs - within moments, you are connected to a world of pet-lovers and dog-owners. - Make video call with veterinarian at call-center. - Chat to other owners, find great places to visit and even view the best kennels. - Chat to veterinarians in real-time, wherever you are. - Register and Login with Facebook (OPTIONAL). Dogalize makes you an even better owner - connecting you to vets in your local area, and giving you an insight into the best places to visit with your dog. Make friends on Dogalize and share occasions with them - it’s easy, fast and free, so why don’t you get started today? CHAT WITH OTHER OWNERS AND SO MUCH MORE. 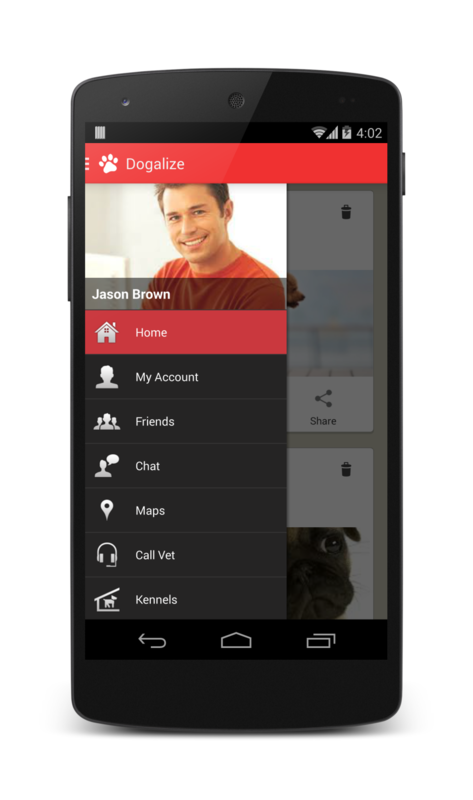 Dogalize brings the world to your fingertips. 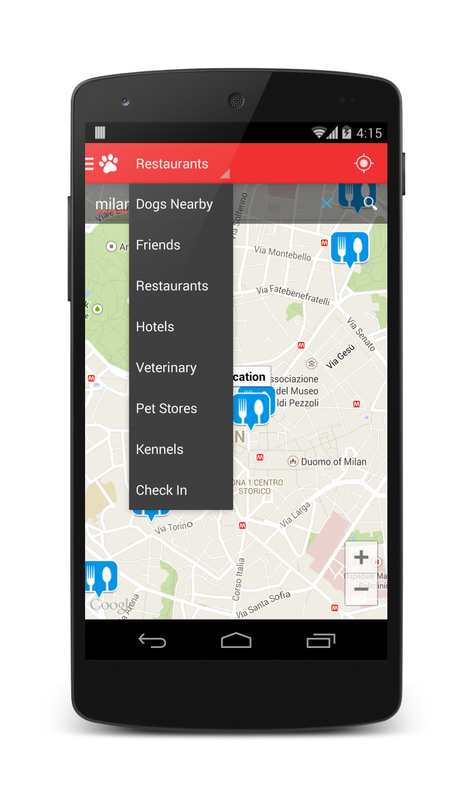 Chat with other dog owners around your local area, chat about your pets and let each other know the best places to go. You can add anyone on Dogalize, and turn casual passing’s into interesting conversations. 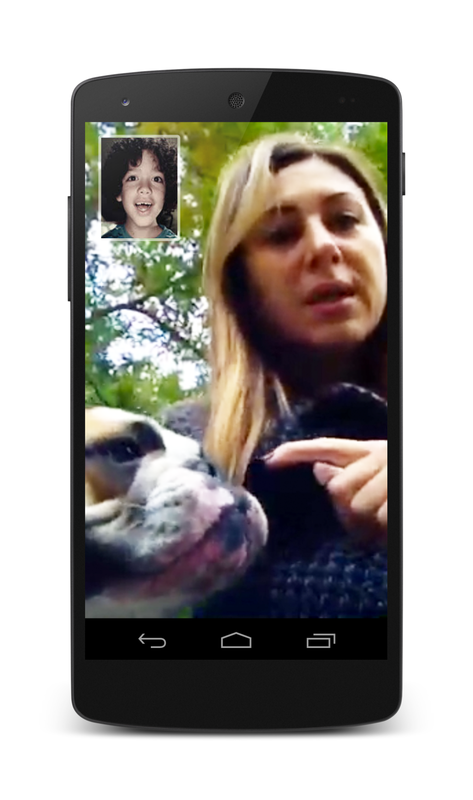 Dogalize features real-time, live video chat to veterinarian all across the world - so even in times of distress, your dog can get the care they need and advice you need as soon as possible. Solve common problems without visiting the vet, or identify symptoms quickly. 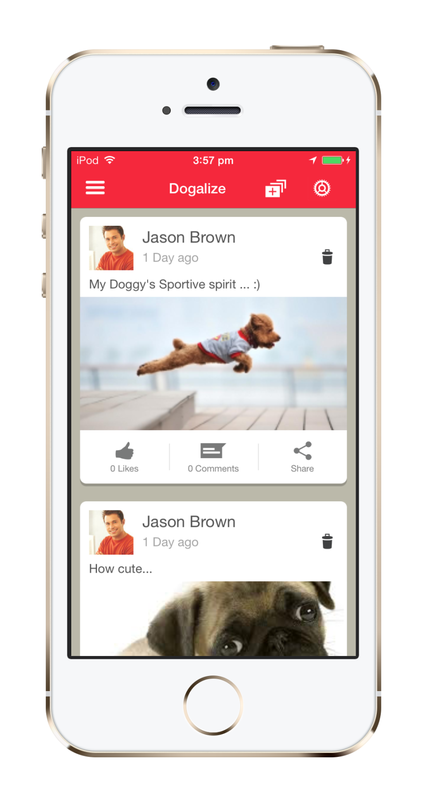 Dogalize - keep your dog healthy and happy with our new social network designed for dog-owners.